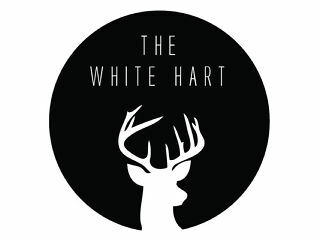 Located in the picturesque village of Witley, The White Hart is a purveyor of smoked meat, whisky and craft beer from @BBQWhiskyBeer chef Sam Daffin. Since 2013 the 16th Century pub has been serving up a slice of metropolitan life in the Surrey hills with its modern interpretation of firewood cooking, contemporary cocktails and rock-a-billy, folk and classic blues soundtrack. Using the very best of local, seasonal Surrey produce including Secretts farm salad and vegetables, Surrey Farm premium beef, Sam and the team create and modern, barbecue menu taking influence from Korean Gogigui, American Pits, Spanish plancha, Argentine Asado and the good old fashioned British grill. With a fifty bottle strong whisky collection, comprehensive wine list and a cocktail menu of timeless classics and modern interpretations, there's sure to be a drink to suit all thirsts. My favourite place to eat out in the area! Please NEVER take the wings, smoker trash fries, beef rib or corn flake ice cream off the menu. The only slight negative was a member of our party asked for her burger cooked through as she is pregnant an it still came out pink but this was happily rectified by the staff. Our absolute favourite place for food and drinks. Food is beyond delicious and staff are all so lovely. We had a delicious chicken shop Wednesday meal with a glass of wine - fantastic! The best traditional English pub with fantastic staff, food and atmosphere. Wonderful - will certainly be coming back! Lovely meal ... great burgers & sweet potato wedges! 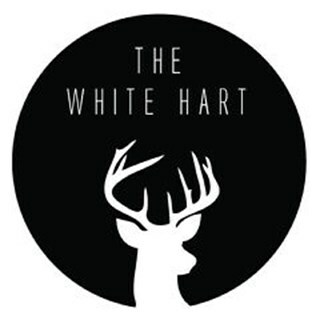 I love the White Hart and have dined here many times. unfortunately this time the food time a very very long time to come out, we were waiting over an hour for our main courses without an explanation as to why it was such a long delay. The food, decor and service is usually spot on so im hoping the wait time on food will be sorted out before i dine with you again. Fantastic evening as always. Staff are great, as is the food. Burger Tuesdays are great and really good value for money. I love the food and staff at The White Hart. Great team. My children love the food there and I can never say no to a warm fire and a pint of Camden Hells on tap (even if it pricey). Excellent food. Menu makes decisions hard as EVERYTHING is appealing. Delicious ideas. Would never of thought about watermelon and pork rib. Thanks so much for a really lovely meal.